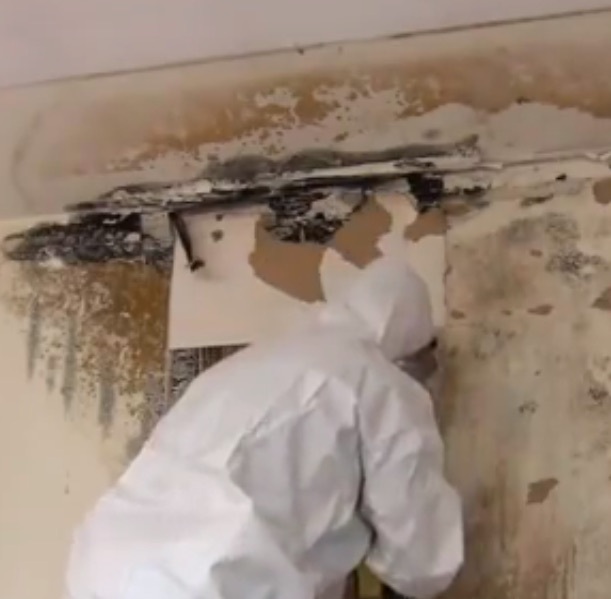 After you’ve confirmed you have a mold problem, the next step is remediation. Before proceeding you’ll need to determine who should take care of mold removal. Employing the correct mold removal procedures is essential to protecting building occupants and preventing recurring mold growth. Who will remove the mold? Are at-risk individuals involved? This is by far the most important consideration when making decisions about remediation. If the mold resides in a school, nursing home, hospital or other healthcare facility there’s no question that you’ll need to hire a professional to remove the mold. What kind of mold are you dealing with? Visual inspections and some sampling methods can tell you what kind of mold you’re dealing with. If you’re dealing with a pathogenic mold species, you’ll want to leave mold removal to the professionals so you’re not exposed. How big is the job? If the project covers 10 square feet or less and won’t require any construction, you might be able to tackle the job yourself. But make sure you consider all other factors before jumping into action. Do you have the proper equipment? At the very least you’ll need proper respiratory protection and Personal Safety Equipment to protect yourself. You may also need various other equipment to remove the mold and contain mold spores. Such equipment might include: air scrubbers, H.E.P.A. vacuums, fans, containment and dust barriers, dehumidifiers, disinfectant solutions, deodorizers and any other equipment you need to complete demolition and construction work for the project. Will the job require construction or demolition? If construction is required, it’ll will be much easier and safer to hire mold experts who know how to safely remove mold-laden materials and who can work with contractors to ensure that your facility gets put back together in tip-top shape. Will the project require any special expertise? This question comes into play when demolition or construction is involved, or if you’re working with a complex building system. For example, we’ve seen mold growing in HVAC systems on numerous occasions. In large buildings, the expertise necessary to properly remediate and replace ductwork and other equipment will require both mold expertise and assistance from HVAC professionals. If possible, kill mold by cleaning the area with a commercial cleaner and biocide. Chlorine bleach can sometimes be used to kill mold on hard, non-porous surfaces like glass, tile and countertops, but it will be ineffective in killing mold growing in any porous materials. If cleaning cannot kill or remove all the mold on some materials, they will need to be removed. Try to contain the area as best you can to prevent mold spores from traveling to other parts of the building. If construction is involved (even minor construction), be aware of other environmental hazards that you may encounter in the building, such as asbestos and lead-based paint. (Side note:) According to Wikipedia, the EPA defines biocides as “a diverse group of poisonous substances including preservatives, insecticides, disinfectants, and pesticides used for the control of organisms that are harmful to human or animal health or that cause damage to natural or manufactured products”. Professional remediation should always be used if you’re working in a facility with at-risk individuals (children, the elderly, immunocompromised people or other patients). Remediation professionals will need to be informed of at-risk patient locations (transplant areas, ORs, NICUs, ICUs, etc.) and other environmental hazards that they may encounter before work begins. All remediation workers should wear proper worker protection equipment including respirators, coveralls and shoe covers that can be disposed of or disinfected before leaving the containment area. 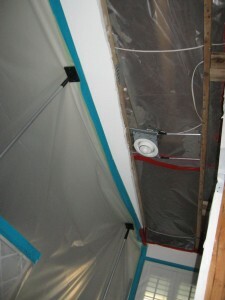 Mold removal areas should be sealed at critical barrier points with polyurethane containment barriers. 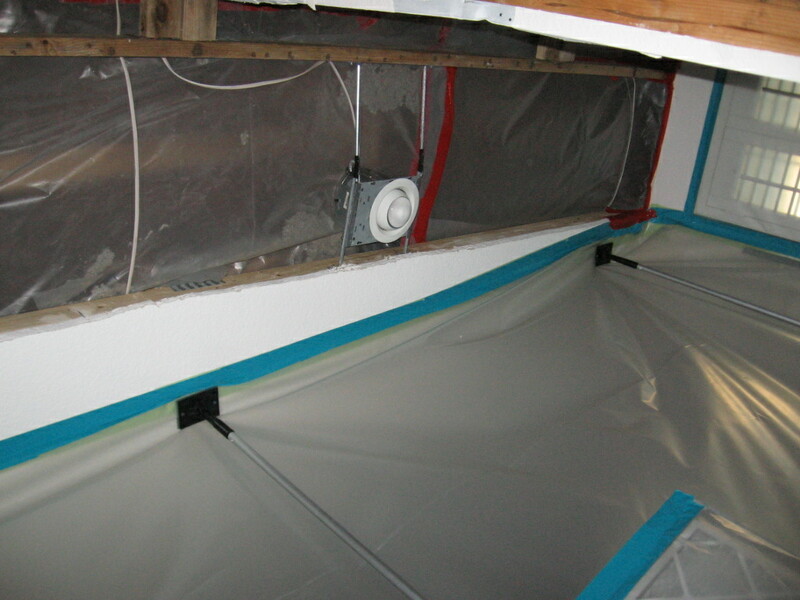 Removal areas should be kept under negative pressure containment to protect adjacent areas from mold contamination. All waste should be contained before it is removed from the containment area and disposed of. May be necessary when building materials (like structural components) can’t be completely removed. 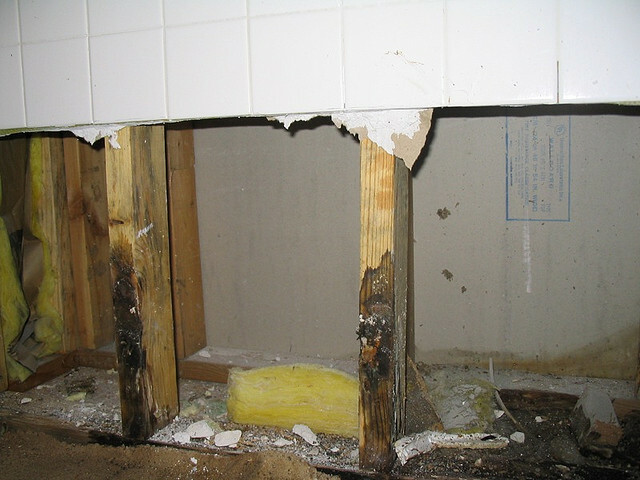 However, cleaning will most likely be ineffective in removing mold from porous surfaces. All biocides and cleaning products should be EPA-registered and used within regulatory guidelines. It is always better to remove contaminated materials than to clean them because some molds will still release toxins after they’re killed. It is sometimes more cost effective to throw away and replace mold-contaminated building materials.